Like it or not, global leadership has been thrust upon Germany. Chancellor Angela Merkel thought long and hard about whether to run for office again in Germany’s 2017 parliamentary election. She has made the right choice in standing for a fourth term, despite the dangers of staying in power too long that have plagued many long-serving leaders, not least her mentor, Helmut Kohl. With Donald Trump moving into the White House, Ms Merkel has faced calls to assume the mantle of leader of the western liberal world from Barack Obama. She dismisses the demands as “grotesque and absurd,” but she may not have much choice in the matter. The job is thrust upon her by the lack of another plausible candidate and the admirable positions she has staked out. She has pledged to fight for democracy, free trade and open societies, and has refused to leave the field to nationalists, whether Mr Trump, Russia’s Vladimir Putin or Hungarian prime minister Viktor Orban. It is certainly a moment in history when a German chancellor assumes this role. Seven decades after the destruction of Nazi Germany, Berlin is once more in a position to contemplate global leadership, albeit cautiously. This is a tribute to the country’s transformation since 1945, to its ranking as an economic superpower, and its primacy in the European Union. Even more, it is a reflection of the disengagement of others, notably a Brexit-bound UK, a weak France, and the US, which under Mr Obama has curtailed its involvement in global affairs. Ms Merkel rightly insists that Berlin will move forward only with partners. Germany lacks the economic resources and military power of the US. It is fated by history and geography to work with European allies, even as the EU struggles for coherence. 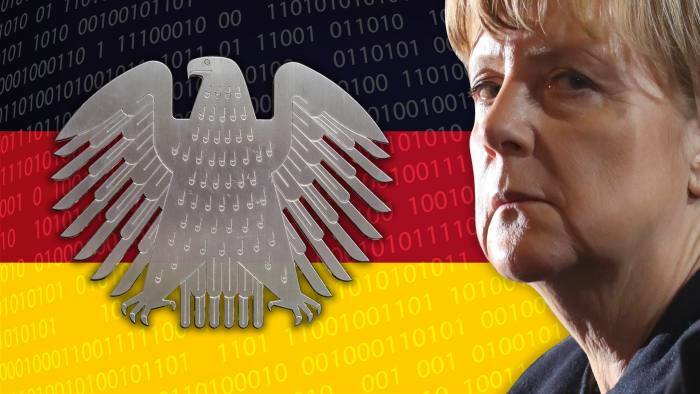 Of course, Ms Merkel will not be leading anything if she does not win the election. As head of the conservative CDU/CSU bloc, the chancellor has to regain the trust she lost by keeping Germany’s border open for refugees in summer 2015, a job made harder by the Christmas market attack last month. Whilst insisting that she was right at the time, Ms Merkel has since tightened asylum rules and supported a controversial EU-Turkey migrant deal. The country remains divided, with the anti-immigrant Alternative for Germany capitalising on sentiment against Ms Merkel. She is favourite to win this year’s poll but on her watch, the AfD could become the first far-right party since 1945 in the German parliament. Should she win, the chancellor will be entrusted with holding the EU together. With populism rampant, increased co-operation is a hard sell. She should push more for common security policies to address terrorism and maintain unity on sanctions on Russia provoked by the Ukraine crisis; the aim must be to show that the EU is still capable of decisive action and keep up pressure on Moscow. In Mediterranean countries, where unemployment fuels populism, she must allow more flexibility in eurozone fiscal rules. Meanwhile, Ms Merkel has to try to find an accommodation with Mr Trump. Despite his pledges to reduce US commitments to Nato, there may be common ground in curbing Islamist terror and promoting stability in the Middle East. Ms Merkel will have to work hard to persuade Mr Trump that his evident sympathies for Mr Putin are badly misplaced. Finally, as she has said herself, ways must be found to win public support for globalisation. Without it, the world will be poorer and more dangerous. The benefits, though, must be spread fairly. It will be a tough line to pursue in a hostile environment but who better to try than the German chancellor? Historic plebiscite with far-reaching consequences for the continent. In seven days, the British will decide. The referendum on EU membership marks an historic moment. At stake is Britain’s often troubled relationship with Europe, but also the coherence of the west. A vote to withdraw would be irrevocable, a grievous blow to the post-1945 liberal world order. 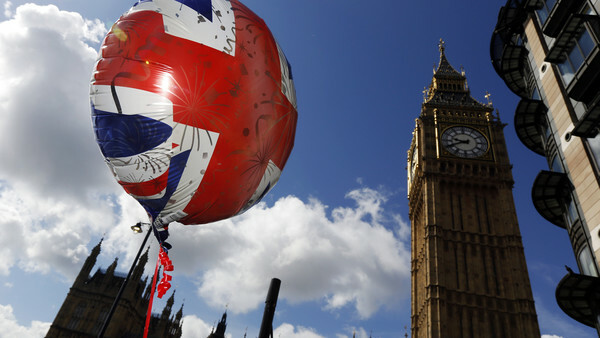 David Cameron’s referendum gamble has proved to be a futile attempt to heal divisions in the ruling Conservative party. The campaign has split the country. Emotions have trumped facts. Born-again populists rail against the establishment. “People in this country have had enough of experts,” declares Michael Gove, a leading Brexiter, justice secretary (and former education secretary). This newspaper has supported British membership of the EU from the outset in 1973. The Financial Times does not favour membership of the single currency. It makes no economic sense. But opting out of the euro is quite different from opting out of the EU, which would seriously damage the UK economy. Constructive engagement is vital when Europe confronts threats from Islamist extremism, migration, Russian aggrandisement and climate change. These can only be tackled collectively. The referendum campaign is a contest between competing values: between liberal internationalism and a pinched nationalism, between an open-trading system and marginalisation. This is why Britain’s allies, from Australia to Japan and the US, have unanimously supported Remain — and why Marine Le Pen and Donald Trump favour Brexit. The debate has been depressingly transactional. The economic costs of withdrawal are substantial; but the Remain camp has indulged in pocketbook scaremongering. The Leave camp has been superficially patriotic, at heart mendacious. Britain does not contribute a net £350m a week to the EU budget. Savings will not go automatically to the National Health Service. Turkey has about as much chance of joining the EU by 2020 as Istanbul being renamed Constantinople in a revived Byzantine empire. To be sure, Leave’s focus on immigration resonates with voters. This may account for a tightening of the polls, to the point where Brexit is a real risk. The influx of EU migrants, far greater than successive governments predicted, has stirred fears about jobs, public services and British identity. “Take back control” in the name of democracy is a seductive slogan in the age of globalisation. Mr Cameron has yet to provide an adequate riposte. He joins a long line of British prime ministers, including Margaret Thatcher and Tony Blair, who have failed to level with the British public. Membership of the EU and, crucially, the single European market, entails some transfer of sovereignty in return for an actual gain in power as part of a greater whole. The rewards are indisputable. Since Britain joined the EU in 1973, real gross domestic product per head has grown faster than in France, Germany and Italy. Thatcher’s labour reforms and the Bank of England’s independence were vital too. But membership of the single market has been a magnet for foreign direct investment, funding a bulging current account deficit and guaranteeing British jobs. Leave has failed to spell out the serious risks of life outside the EU. Boris Johnson, the former mayor of London with one eye on Mr Cameron’s job, invokes a newfound freedom without the pettifogging rules of the single market. With one bound, Britain would become the Venice of the 21st century. In the real world, Britain would have to redefine fundamentally its relationship with the EU. An arrangement akin to Norway’s would require paying into the EU budget and accepting free movement of labour. Switzerland’s deal is even more cumbersome. Mr Gove invokes a model closer to Albania, Bosnia, Serbia and Ukraine, to deserved derision. The fallback — relying on World Trade Organisation rules — would involve tariffs on UK goods, a poor deal on services (vital for the City of London) and years of fraught negotiations. Britain would end up a rule-taker, not a rule-maker. Britain’s seat at the table has allowed it to win big arguments in Brussels: on free trade, liberalisation of air travel and telecoms, and EU enlargement to central and eastern Europe. The UK has shaped membership to its needs, securing opt-outs from the euro and the Schengen agreement abolishing border controls. It retains control of income tax and corporate taxation. Education, skills and a skewed housing market hold the UK economy back, not a Brussels bureaucracy the size of Birmingham city council. Brexit would be a gratuitous act of self-harm. In a multi-speed, multi-tiered EU, the European superstate is a chimera. Brexiters such as Nigel Farage, the leader of the UK Independence party, see British withdrawal as a handy act of sabotage, hastening the disintegration of the EU. To what end? In or out, Britain would pay a heavy cost. Brexit would reintroduce a border between north and south in Ireland. It would put the territorial integrity of the UK at risk, especially if an independent-minded Scotland overwhelmingly votes to stay. It would trigger a political crisis in the UK — Mr Cameron would surely go — and reawaken the ghosts of nationalism in Europe. The positive case for Britain in the EU is easily made. To abandon the cause of constructive reform of an admittedly imperfect EU would be more than defeatist. It would be a gratuitous act of self-harm. Business leaders have a duty to spell out the cost of leaving before it is too late. In 1975, when a Labour government called for a referendum on British membership of the European Economic Community, the FT rejected the notion of Britain as “a tight little island, seeking refuge in a siege economy, opting out of the main stream of world politics”. The sentiment remains resonant today. This is no time to revert to Little England. We are Great Britain. We have a contribution to make to a more prosperous, safer world. The vote must be “Remain”.